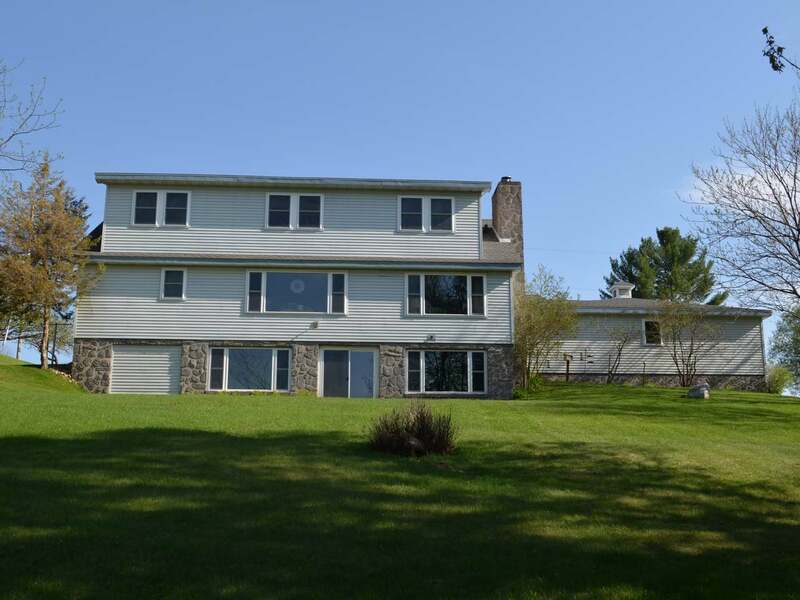 ROAD LAKE HOME 4+ Bedrooms/2.5 Bathrooms! Welcome to this waterfront home. Over 3 acres of land, a large metal storage building, a gentle taper toward the waterfront area and an unfinished walk out lower level. The septic, roof, boiler and well have all been updated. There is a lakeside living room, family room and bedroom. A kitchen, dining room, den, full bath, front door foyer and 1/2 bath complete the main floor. Upstairs you will find 3 more bedrooms, storage closets and another full bathroom. Lots of spaces to accommodate your family and friends! Need more space? The walkout lower level is ready for you to finish, adding great value to this home. Come and take a look at all this home has to offer.